We introduced Aqua forming and Dolomite forming(our DLP's technique) to reduce Die's cost in the 15th M-Tech, Mechanical Components and Materials Technology Expo. In M-Tech, we had lots of visitors. 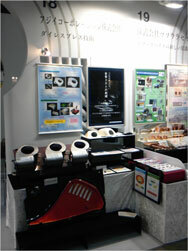 Thank you all for comming to our booth. 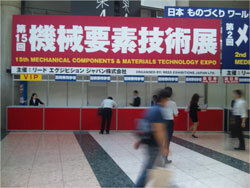 We will exhibit our DLP's technique in the 15th M-Tech, Mechanical Components and Materials Technology Expo. 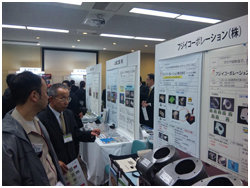 M-Tech is the biggest expertise exhibition in Japan, and machine elements and processing techniques will be exhibited. 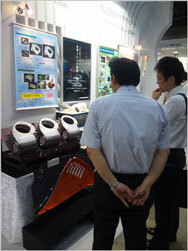 Fujii will introdce about the techique to reduce die's cost at the exhibitaon. 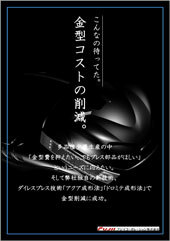 At June 10, 2011 West Japan Sales Office will be moed to Yamaguchi pref. 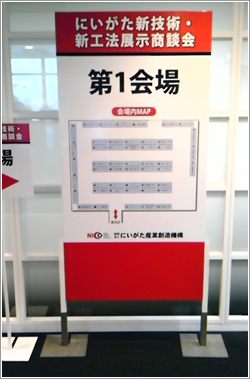 At June 10, 2011, our West Japan Sales Office will be moved to the following address. In additon, the phone number will be changed. 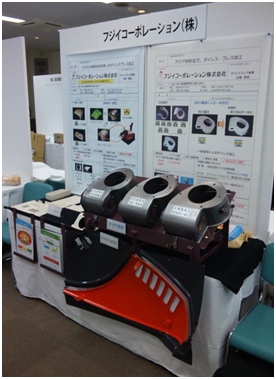 At February 3 and 4, Fujii displyed some parts pressed by Aqua forming process and Dolomite forming process at The Exhibitaion & business negotiation for new technology & new method in Tokyo. 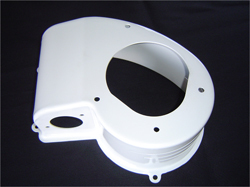 Click here for more detail about Aqua forming process and Dolomite forming process.